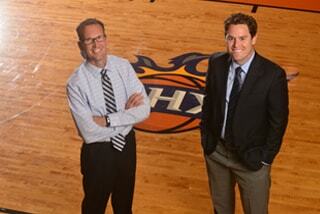 Welcome to the Official Phoenix Suns Dental Team webpage! On this page you will learn about the new Phoenix Suns Dental team members, an elite of a group of dental specialists hand-picked to provide comprehensive oral healthcare to our Phoenix Suns Team and organization. The Dental Team specializes in general and cosmetic dentistry, facial and oral surgery, endodontics and periodontics. Whether you are a Phoenix Suns player or one of our loyal fans, the Phoenix Suns Dental team is committed to providing you with the best dental care in the valley. 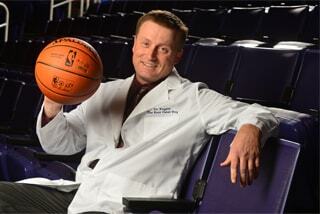 Dr. John Badolato (Dr. B) is the Team Dentist of the Phoenix Suns, the Phoenix Mercury and the Phoenix Suns Dancers. Dr. B is also the Official Cosmetic Dentist for ABC's hit show Extreme Weight Loss. He and his award winning practice, Studio B Smiles, have been recognized with many accolades, including Phoenix Magazine's Top Dentist award. Originally from Saint Louis, Dr. Badolato received his bachelor's from the University of Missouri and then earned his dental degree with honors from the UMKC. 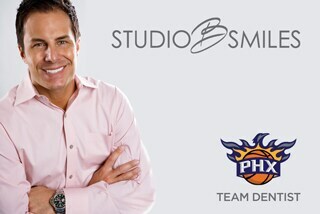 Studio B Smiles has two locations: in Scottsdale at Shea and the 101, and Downtown Phoenix on 3rd St between Jefferson and Jackson (right next door to Talking Stick Arena). Contact them at 480-860-0092 for an appointment today. Visit www.studiobsmiles.com for more information. Dr. Krygier, “The Root Canal Guy,” started his endodontic practice in Scottsdale in 1997. Over the years, Dr. Krygier has received numerous awards for outstanding clinical performance in endodontics. Phoenix Magazine’s annual list of best dentist recognized him as one of the top 10 endodontist in the Valley. Visit www.therootcanalguy.com for more information. Dr. Jorgenson is a periodontist specializing in the latest implant procedures as well as cosmetic periodontal procedures to provide the best possible smile and function for his patients. Whether you need a full mouth rehabilitation, or a simple tissue graft, Dr. Jorgenson places the utmost importance on providing the best treatment. Dr. Jorgenson is one of the leading dental implant surgeons in the valley, who prides himself, not only on the quality of his work, but in the manner in which he cares for each patient. Dr. Jorgenson has been featured in Fox News and named top periodontist by Phoenix magazine 12 times. Originally from Utah, Dr. Jorgenson received his bachelor’s degree in Science from Utah State University. He later attended Oregon Health Sciences University and then Oklahoma University where he received his Master of Science in Periodontics. He is also a member of the American Academy of Periodontology. 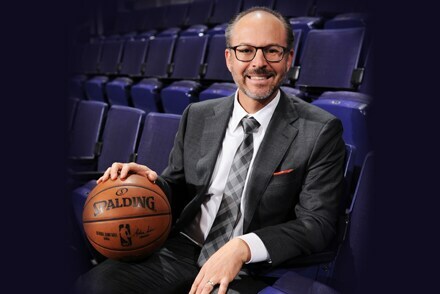 Dr. Jorgenson’s practice is East Valley Implant & Periodontal Center and is located in Mesa, Scottsdale, and also provides periodontal care at the new IASIS Multispecialty clinic next door to where the Phoenix Suns play at the Talking Stick Resort Arena! 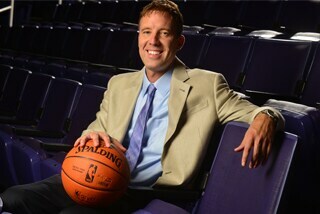 50% off a dental implant if you mention the Phoenix Suns. Savings of up to $1500! Visit www.eastvalleyimplant.com for more information. The Surgeons of Oral & Facial Surgeons of Arizona, Dr. Michael W. Golding, and Dr. J. Gregory Sabol a are specialty-trained and board-certified by the American Board of Oral and Maxillofacial surgery. They and their staff are dedicated to improving the quality of life of each of their patients through the compassionate treatment of a variety of complex facial and dental conditions, including wisdom teeth removal, dental implant placement, skeletal jaw surgery, sleep apnea surgery, and facial cosmetic surgery. We are highly trained and certified to provide all levels of sedation and general anesthesia on site, for the most comfortable patient experience available. Our practice philosophy involves the determined approach to improve patients’ quality of life, in close collaboration with referring dentists, and our compassionate staff, using the most advanced surgical techniques for optimal results. Offering a comprehensive spectrum of treatment options, Oral and Facial Surgeons of Arizona is one of the nation’s premier providers of oral and facial surgery; and is a practice highly recognized for its commitment to the highest standards of patient care, serving patients and their referring practices throughout the greater Phoenix metropolitan area. Visit www.oralsurgeryarizona.com for more information. Scottsdale and Surprise, Arizona’s top rated orthodontist, Dr. Blair Feldman, is the newest member of the Suns Dental Team and he loves creating smiles. He has transformed more than 5,000 smiles and loves being an important part in changing people’s lives through their smiles. He treats patients of all ages from children as young as 5, to tweens and teens, to adult patients of all ages who have discovered that Invisalign is an easy comfortable, and effective way to improve their smile. Dr Feldman is an Elite Invisalign provider putting him in a group of the most experienced Invisalign Orthodontists around the world. Feldman Orthodontics is the valley leader in orthodontic technology and customer service and has two convenient locations in the Valley: Surprise and Scottsdale. Dr. Feldman lectures for a major orthodontic equipment supplier and has also written several articles that have been published in orthodontic magazines. Dr. Feldman’s education consists of the University of Michigan, the University of Pennsylvania Doctorate of Dental Medicine and Masters Degree in Education, and the University of Detroit Mercy, Certificate in Orthodontics and Master Degree in Science. He is committed to education and is an adjunct professor of orthodontics at the Arizona School of Dentistry and Oral Health in Mesa, Arizona. In addition to his commitment in continuing education, Dr. Feldman has received Life Member Status in the Blue Blazer Squadron, supporting Luke Air Force Base and he has received the Gini Award for his work supporting Smiles Change Lives. Dr Feldman loves to spend time with his wife, Colleen who is a cosmetic dentist, and the topic of conversation at dinner with their two boys is about teeth only 80% of the time. Visit www.FeldmanOrthoAZ.com for more information.